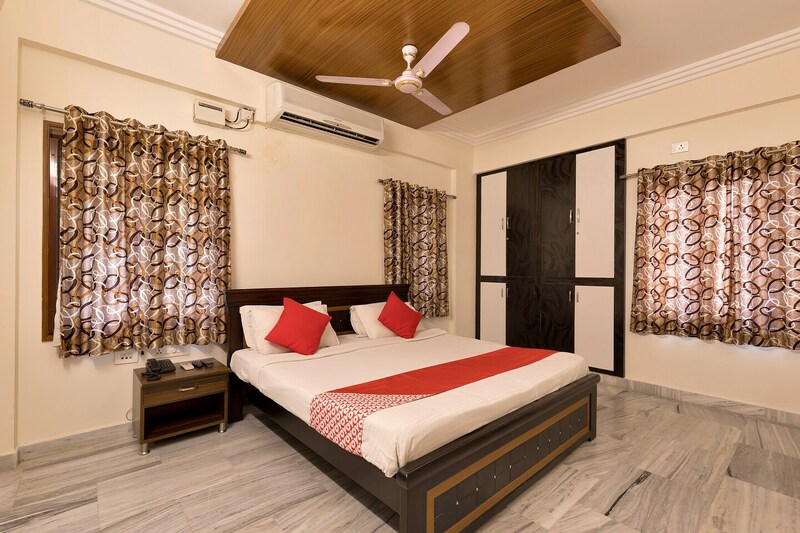 Hotel Sunshine Castle is a cosy property located at Whitefields in Kondapur in Hyderabad. Major tourist attractions near the hotel include Village Museum, Shilparamam and Sri Kotla Vijayabhaskara Reddy Botanical Garden. The hotel has a spacious dining area where guests can enjoy their meals. The rooms are available in different configuration of twin beds and double bed. Each spacious room is tastefully furnished and comes equipped with AC, TV, and geyser. Free Wi-Fi, laundry, elevator, power backup, and CCTV surveillance are other amenities offered by the hotel. Popular restaurants nearby include Absolute Barbecues Gachibowli, Flechazo Madhapur, Banana Leaf Multi Cuisine Restaurant, CIBO house HITEC City, and the Blue Fox.